Since the 1990s, two-photon (2p) scanning microscopy has been the standard for brain imaging. Now, a novel microscopy technique developed by a team at the Rockefeller University, called hybrid multiplexed sculpted light microscopy (HyMS), will help build a more cohesive picture of the brain by allowing researchers to generate a picture of rapid cellular activity across multiple layers of brain tissue. 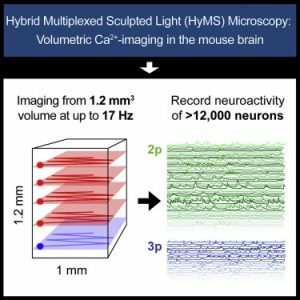 Published in Cell in an article titled, “Volumetric Ca2+ Imaging in the Mouse Brain Using Hybrid Multiplexed Sculpted Light Microscopy,” the novel microscopy technology captures cellular activity across large volumes of neural tissue, faster and at new depths. Because brains comprise billions of microscopic moving parts, faithfully recording their activity comes with many challenges. 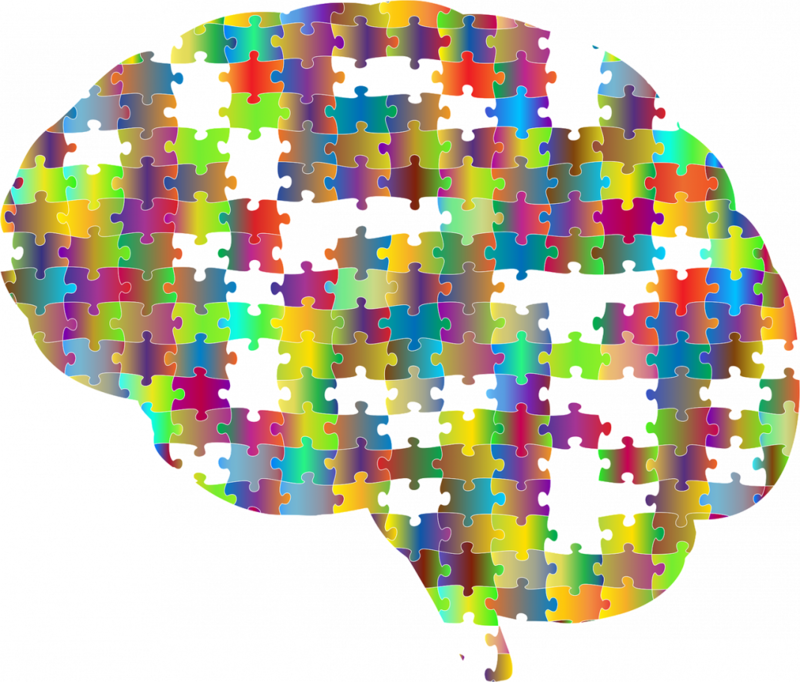 In dense mammalian brains, for example, it is difficult to track rapid cellular changes across multiple brain structures—particularly when those structures are located deep within the brain. “One of the biggest challenges in neuroscience is developing imaging techniques that measure the activity of deep brain regions while maintaining high resolution,” said Alipasha Vaziri, PhD, associate professor at the Rockefeller University and senior author on the study. Some techniques produce beautiful images but fail to record neural activity in real time. Others can keep up with the brain’s speed but have poor spatial resolution. And although there are tactics that successfully combine rapidity and image quality, they typically capture only a small number of cells. “This is in part because the limits that govern these tradeoffs have not been explored or pushed in a systematic and integrated manner,” said Vaziri. Although 2p microscopy has long been the gold standard for imaging neuronal activity, it’s limitations include tradeoffs between fields of view, acquisition speeds, and depth restrictions in scattering brain tissue pose severe limitations. Vaziri’s lab sought to improve upon those limitations by implementing a novel strategy that permits recording from multiple brain regions in parallel, while carefully controlling the size and shape of each spot recorded. HyMS incorporates a hybrid laser strategy with other recent technical and conceptual advancements in the field—a synergistic approach that, Vaziri said, guided the development of the technology. The goal, he added, was to maximize the amount of biological information that could be obtained through multi-photon excitation microscopy while minimizing the heat produced by this method. HyMS boasts the highest frame rate of available three-photon (3p) techniques, which means it can capture biological changes at record speed. And whereas previous techniques scanned only a single plane of tissue, this technology can obtain information from the entire tissue sample and allows users to record from as many as 12,000 neurons at once. Another advantage of HyMS is its ability to simultaneously measure activity from brain areas at different depths. Since different layers of the brain constantly exchange signals, said Vaziri, tracking the interplay between these regions is key to understanding how the organ functions.